CAMBRIDGE, Mass. 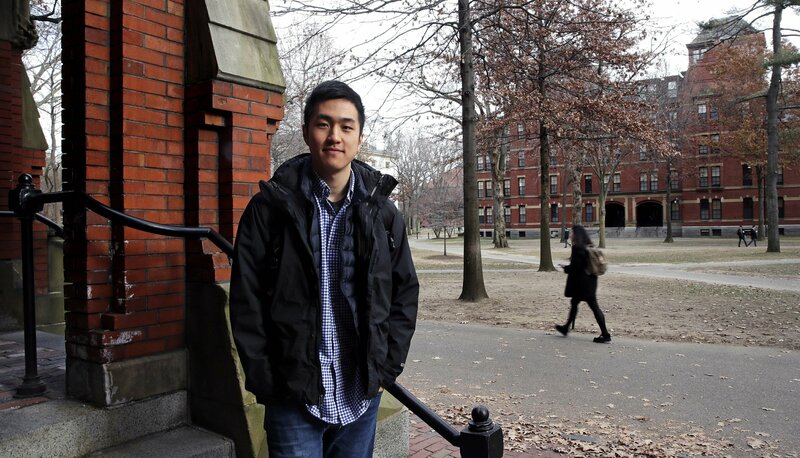 — He became the first “Dreamer” to win the prestigious Rhodes scholarship, but for recent Harvard University graduate Jin Park, the joy of that achievement has given way to uncertainty. President Donald Trump’s administration rescinded the option for overseas travel for those with Deferred Action for Childhood Arrivals status, or DACA, when he moved to phase out the Obama-era program in 2017. U.S. Citizen and Immigration Services, which administers DACA, didn’t respond to emails seeking comment. DACA recipients, commonly called “Dreamers” because of never-passed proposals in Congress called the DREAM Act, are protected from deportation because they were brought into the country illegally at a young age. Past Rhodes scholars and other Rhodes Trust supporters are volunteering their private counsel to Park in the meantime, but it’s a “matter of American law and not anything the Rhodes Trust can resolve alone,” said Elliot Gerson, the British organization’s American secretary. “Our hope is for federal action,” he added. “The government should enforce the law as it currently stands, to allow Jin to fulfil his scholarly work,” said Kristian Ramos, a spokesman for Define American, an immigrant advocacy organization that supported Park in his Rhodes scholarship bid. “I’m looking forward to having that unstructured time to think about these broader questions of who belongs in America and the value judgments we make about others,” he said. With the backing of Harvard, Park applied for the Rhodes scholarship last year as part of a broader effort to underscore how DACA recipients didn’t qualify for the venerated award and others like it. The scholarship was created in 1902 by British businessmen and politician Cecil Rhodes and provides all expenses for at least two years of study at Oxford. Park’s application — like a number of others in recent years — was rejected, but the message was received. The Rhodes organization changed its policy effective this year. Park re-applied and was accepted. Gerson said the change reflects the organization’s efforts to expand eligibility. Legal permanent residents and residents of U.S. territories like Puerto Rico have also been allowed to apply in recent years. And regardless what happens next, Park has the conviction of knowing where home is. go back to your country and APPLY to become a citizen like all the other IMMIGRANTS do.